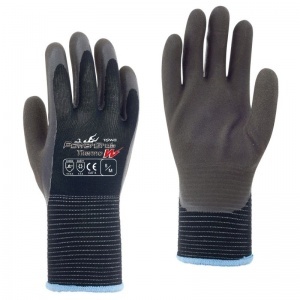 Working in cold conditions brings with it a range of difficulties, including your reduced ability to grip objects. 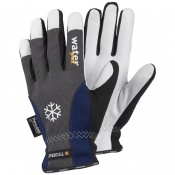 The Towa PowerGrab Thermo W TOW348 Two-Layer Thermal-Lined Gloves are specifically designed to provide extra warmth and excellent grip performance. 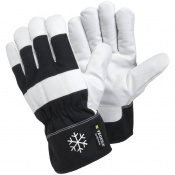 Designed with two liner layers, they help keep you as warm as possible so you're able to handle items as normal. 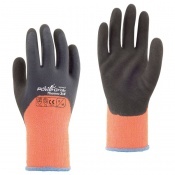 The PowerGrab Thermo TOW348 Gloves are brown in colour with a lemon yellow inner liner and a black outer liner. Their code is TOW348. The Towa TOW348 Gloves are available in five different sizes, allowing you to get a more tailored fit. Please refer to the table below to find out which size will fit you best.